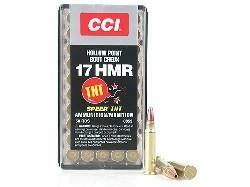 As a newer caliber on the market, the 17 HMR was developed in 2002 by the company Honady. Also known as .17 Hornady Magnum Rimfire or 4.5x27mmR, the .17 HMR is a rimfire rifle round. Descending from the .22 Magnum round, the 17 HRM is commonly chambered with a 17 grain weight cartridge, delivering high muzzle velocities.